Myanmar’s military has been in a state of conflict with many of the country’s minority groups for decades. 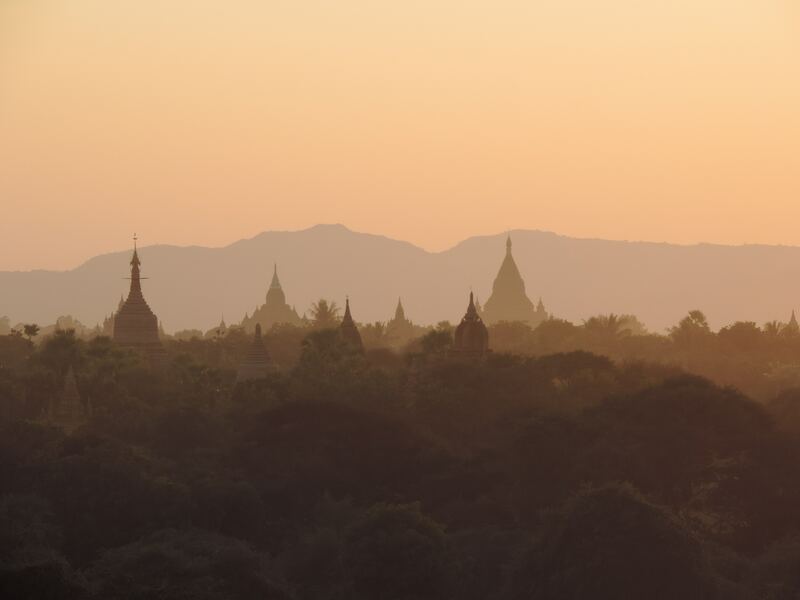 Vikas Kumar argues that by looking at Myanmar’s ethno-geographic peripheries – one on Myanmar’s interior, the other on its exterior – a more complete picture emerges for those wanting to understand Myanmar’s violence towards minorities but also its tolerance. Until two years ago, Myanmar was a poster child of democracy’s expanding reach and its leader Aung San Suu Kyi was a global icon. Their fall from grace has been swift. Atrocities against the Rohingyas and curbs on media have tarnished their image. Recently, Amnesty International withdrew its highest honour, the Ambassador of Conscience Award, from Suu Kyi. Myanmar’s indigenous ethnic minorities are also dissatisfied with Suu Kyi’s National League for Democracy (NLD). The NLD lost seats across indigenous ethnic minority strongholds in the by-elections held this November. This setback possibly reflects the political realignment underway in ethnic areas, where ethnic minority parties have begun to consolidate to challenge the NLD in the 2020 elections. In normal times, these developments – the defeat of the ruling party led by a charismatic leader – would have been read as signs of emergence of a competitive political system that would eventually contribute to the protection of minority rights. Disappointment with Myanmar’s transition to a “discipline-flourishing democracy” that is not unfolding in a textbook fashion, therefore, seems to betray a lack of understanding of the country’s complex institutional and ethnic topographies and the indigenous origins of its turn to democracy. Myanmar had decided to open up in the late 1980s, when scores of other countries were undergoing political and economic liberalisation. Unfortunately, the army failed to handle political dissent entailed by nascent reforms. The subsequent international sanctions isolated the country and eventually pushed it toward China. Interestingly, the late 1980s was a turbulent period in China as well. The Communist party brutally suppressed dissent, but given the size of its economy and its membership of the Security Council China faced a briefer isolation. Myanmar eventually decided to open up when it found itself locked into an involuntary and increasingly asymmetric dependence upon China epitomised by big projects such as the Myitsone dam and the Leptadaung copper mine that were opposed by the local people. In other words, Myanmar values economic and political re-engagement with the rest of the world and would not risk going back on some of the basic reforms. However, the pace and direction of subsequent reforms will, like the decision to open up, be governed by domestic factors rather than international pressures. What will happen to the Rohingyas until the Burmese democracy finds its feet? To understand why Suu Kyi is finding it difficult to address their problems, we need look at Myanmar’s ethno-geographic periphery from inside rather than outside the country. The central valley of Myanmar is surrounded by a horseshoe-shaped mountainous periphery that controls its overland access to neighbouring countries. The periphery accounts for more than half of the country’s area and coastline and holds most of the natural resources. The sparsely populated periphery is home to the indigenous ethnic minorities, while the Burmese dominate the valley. The two fought on different sides in the Second World War. Also, unlike the Burmese Buddhists who view Christianity as a threat, several tribes embraced Christianity as a counterweight to the majoritarian state in the post-colonial period. However, some of the ethnic minority groups speak Burmese language and/or practice Buddhism. So, neither religion, nor language clearly demarcates the majority from the recognised ethnic minorities. The deep divide between the hills and plains, notwithstanding, the Burmese acknowledge the indigenous ethnic minorities as legitimate citizens. They are an indispensable part of Myanmar, even though the terms of coexistence are bitterly contested. In the recent past, the minorities have been given enhanced autonomy and representation and the ethnic question is perhaps once again at the political centre stage for the first time since the late 1940s. The ethnic groups are talking to the government, even as they are fighting with the Army. This is a classic bargaining situation in which the two sides are locked into a structural dependence that makes exit costly to both. In contrast, Rohingyas are seen as intruders. The Burmese Buddhist nationalists view the presence of Rohingya Muslims as a breach in the country’s external periphery. A historical chasm separates Rohingyas from the other recognised ethnic minorities, who populate the internal periphery. The external periphery was the site of the plural society formed along the country’s long coastline after the British invasion in 1824. (Not coincidentally, the 1982 nationalities act provides citizenship to those who came to Myanmar before 1824.) The plural society was an assortment of immigrant communities that were bound by economic interests and were ostensibly at peace with British colonialism. By the early 20th Century, this plural society catapulted Myanmar among Asia’s wealthiest and most advanced countries. The Burmese, however, resented the plural society that reduced them to minorities in their own towns, where immigrants controlled the administration and markets. Even the hinterland was at the mercy of immigrant middlemen. Unlike the internal periphery that has a long history of engagement with the valley, the external periphery enjoyed an ephemeral and transactional relationship with the valley. The Second World War destroyed the plural society and the economy and infrastructure it had spawned over a century. Afterwards riots, discriminatory citizenship laws and economic nationalism scattered what remained of the plural society. As Richard Cockett puts it in Blood, dreams and gold, the Rohingyas are an “unfinished business from colonial days,” a reminder of the loss of political autonomy under the British. If the condition of minorities is a reliable indicator of the health of a democracy, it would be difficult to decide which way Myanmar is headed. The country is witnessing two divergent trends with regard to the treatment of minorities. Minorities on the external ethnic periphery are being obliterated even as there is more room for minorities along the internal periphery. Bad Behavior has blocked 410 access attempts in the last 7 days.